Like ‘youth in a tube’, this blurs away blemishes, cancels discolouration and corrects skin tone – both instantly and over time. Beautifully brightening, the fabulous formula makes you glow with radiance, whether you use it alone or as a perfectly priming base for make up. Featuring anti-shadow silver pearl pigments, redness-reducing colour-cancelling pigments and balancing green algae (alongside protective vitamin B3, plumping olive extract and rosehip oil) this clever concoction will banish dull, uneven, pigmented skin and replace it with a lifted, brightened glow. To blur away blemishes and correct tone – instantly and over time – as well as uplifting skin with enviable, youthful radiance, you need Charlotte Tilbury’s Brightening Youth Glow. 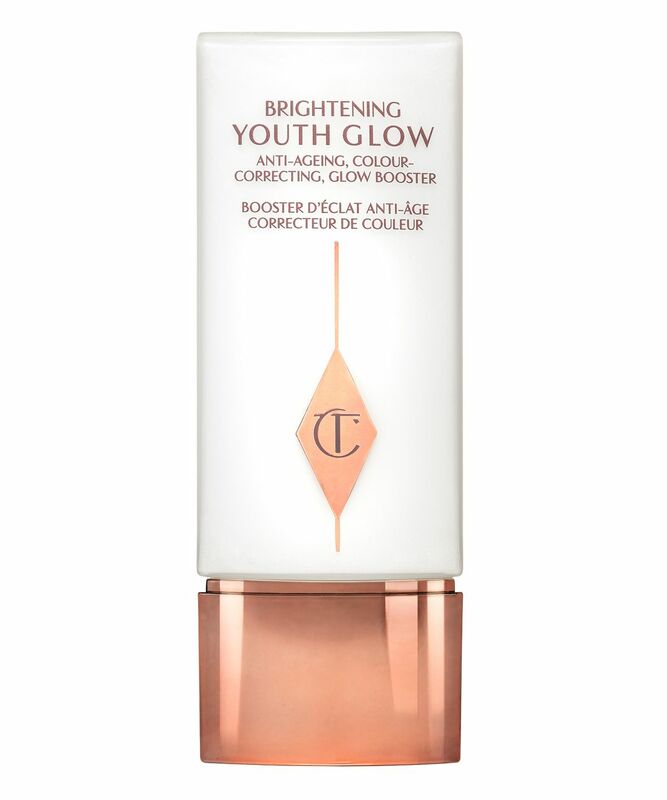 Whatever your age, this fabulous formula will make your skin appear brighter and smoother – it blurs away blemishes, cancels shadows, corrects colour and minimises the appearance of ageing, making it perfect as a base for make up or a standalone base, imparting an oh-so subtle pearlescent glow. The magic ingredients? For starters, an ‘anti-shadow eraser filter’, which contains silver pearl reflective pigments, bounces out the light to more flattering angles of the face, while colour-cancelling pigments reduce redness and healthy, happy chlorella (green algae) stimulates even pigment distribution across the face. As well as this, corrective watercress extract actively blocks melanin production and protective vitamin B3 balances skin tone, while plumping olive extract boosts supple elasticity and camelia and rosehip oils moisturise, nourish and condition skin. 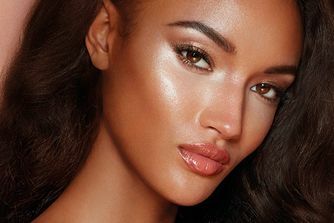 After four weeks (as well as immediately), your skin will be noticeably improved; when Charlotte Tilbury tested 30 women, 100% of them saw an improvement in skin tone, discolouration and luminosity and agreed that pores and blemishes were instantly blurred – we can't really argue with those odds! I bought this about a month ago from Cult. The minute I tried it on, I fell in love with it immediately. It veils my face a glow that looked like I had sufficient care and excellent nutrient, although that is far from the truth. The glow from within continues to be visible even with my CT tinted moisturizer. Love it and recommend it highly. Lovely product, love the glow that it gives, highly recommend. So ordered this the day it was released on cult beauty. 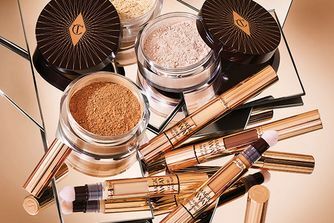 No doubt it does give a glow to the skin, however, if you rub it in or wear foundation on top of it (as you're meant to do as this is a primer), it pills all over the place and you're left with grains of residue all over your face! £38.50 for a premium product. My mac strobe cream never did this. Have fed this back to customer care. Contrary to the other reviews, I really liked this product. Layered on top of Magic Cream, it added a lovely subtle brightening effect that was not too overpowering for everyday daytime wear. This blurred nothing. It settled in lines and pores. Nothing youthful about it. It was like putting on a moisturizer and I put it on over the magic cream. Very disappointed with both products. I have dry skin. This did nothing for me. I see a few bad comments and regretted that I have purchased it earlier. However, when I try it on, this is really goodddddd. It brightens the skin and gives a soft glow. I use it with magic cream every morning.